Best Stainless is a leading supplier of Nickel Alloys, Stainless Steel and Special Alloys. Often times nickel alloys are chosen because of their ability to resist corrosion and their high temperature strength. Monel alloys are what nickel copper alloys are referred to such as Alloy 400 which has mainly nickel and copper with smaller amounts of iron and manganese. We provide pump shaft (PSQ) nickel alloys for a variety of industries including marine and navel. Below you will find a complete list of the nickel alloys provided by Best Stainless. 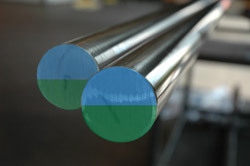 Best Stainless keeps and maintains a complete inventory of stainless steel alloys to accommodate almost any size order. Most common stainless steels have a certain percentage of nickel combined with chromium with 304 stainless steel alloy being the most common. Below is a complete list of our stainless steel alloys.